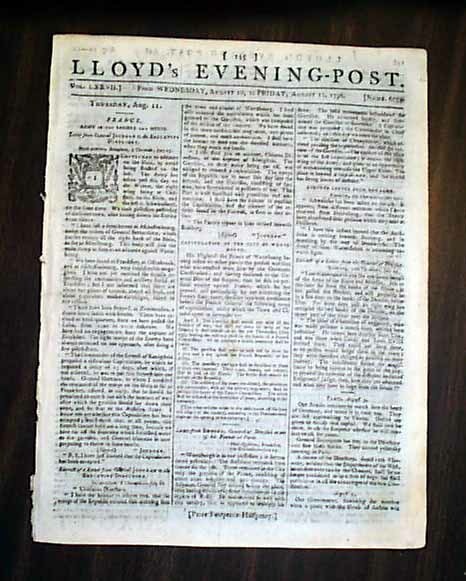 Item # 207649 LLOYD'S EVENING POST, London, 1796 A fine, 18th century British newspaper very popular in its day, with not only the front page but most inside pages entirely taken up with current news. 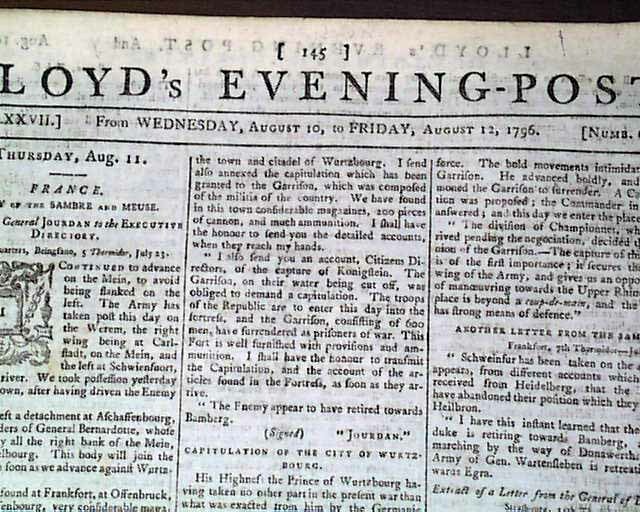 There are some advertisements scattered throughout as well. Complete in 8 pages, minimal edge wear, generally nice. Measures about 9 by 11 1/2 inches.